This week I’m working on my Gluten Free Salad Dressings. If I get them ready a few days early it helps the flavor. Plus I don’t have to worry about mixing them up on Thanksgiving. The dressings will be ready and no last minute decision to use a bottled dressing that will make us sick. Today Catalina, and tomorrow ,maybe Ranch Dressing. This recipe only makes a pint, but I will have to double it for the Holidays. This dressing just literally bursts with FLAVOR! I like to use my smoothie maker or juicer attachment on my blender to make this, it grinds up the spices really fine. Or you can use the blender. Pour all liquid ingredients in first, then add dry ingredients and blend until all dissolved. 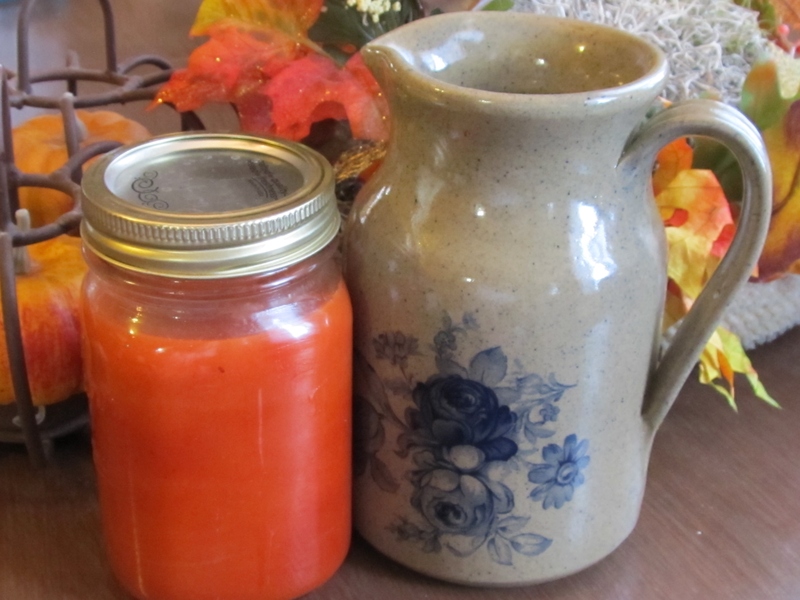 Pour into pint jar, or air tight container, put lid on, and store in refrigerator. Shake before each use. Enjoy! Wow! Your recipes are great. I’m making this one next. Thank you for getting me ready for a gluten free Thanksgiving! Oh, Michelle, you are so welcome! And thank you for the compliment, I’m so glad you are enjoying the recipes. This is the whole reason for writing the cookbook and the blog, is to help others!